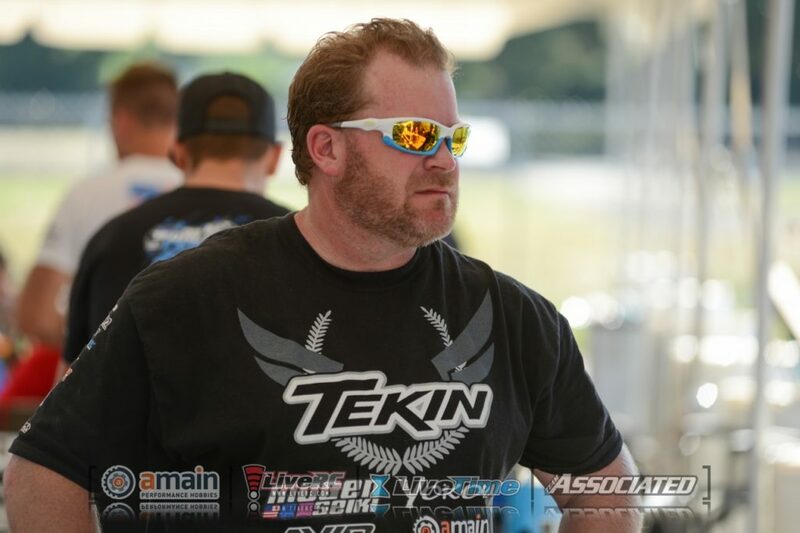 2018 Manufacturer’s Cup by Tekin and AMain RC Tracks – Tekin – Smaller, Smarter, Faster! Finally had a moment to recoup from the 2018 Manufacturer’s Cup brought to you by none other than Tekin Racing at Silver Dollar Raceway, home to Amain Hobbies. I’ve been to each and every one of these races and I’m always more impressed by Kevin Jelich’s track building skill every time I show up. The layout for this event was fun, SUPER flowing, great jump construction, off camber turns, and a few very racy yet technical sections where the Pro guys could really show the rest of us mere mortals how to go fast. I signed up for 40+ E Buggy and Open E Buggy racing the same Tekin Rx8 Gen3 T8 1900kv power system I have’d since I built this car. 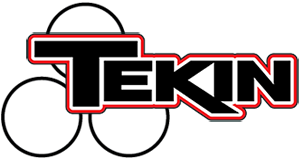 I am of course using the latest Tekin T-250 servo to control my Mugen Mbx7r Eco buggy. I managed to take top seed in both classes during all 3 rounds of seeding. Qualifying had 3 rounds of which I Tq’d all 3 in 40+ E Buggy, the first 2 in Open E Buggy, electing to sit out the 3rd round held very late in the evening. Now besides getting a few extra hours of beauty sleep, I didn’t feel we’d ever race in the cooler night temp track conditions so felt it was worth getting out of the long hot days and resting a bit. Mains day was up and I was Tq in both classes. A few Tekin customers needed some software updates and adjustments prior to their mains, hoping to do better than where they qualified. Starting from the top spot in 40+ was able to get through the first half a lap and only listen to the carnage I was leaving behind. I made one bobble when a damn fly flew into my eyes around the half way mark, no harm no foul. I’d go onto win this class uncontested. Open E Buggy however would not be as smooth sailing. I got out to a quick 4 second lead and somehow manage to collide with another car from another lane or something. I honestly couldn’t tell you where the car came from. But I was hit pretty dang hard in the rear. As my car was going down the straight away I could see my rear wing was not straight. A few more turns and jumps later I could tell this was going to be an issue. On the next lap I rolled the car over in an off camber section and cleanly put the wing 90’s over while allowing P2 and P3 to get by me. I pushed hard to try and catch up only to find out that the rear wing on a 1/8 Buggy is VERY critical to its handling, just a pro tip for the day! I would have to settle for 3rd overall, only being 4 seconds back from the leaders. On the box, but thinking it could have gone better. 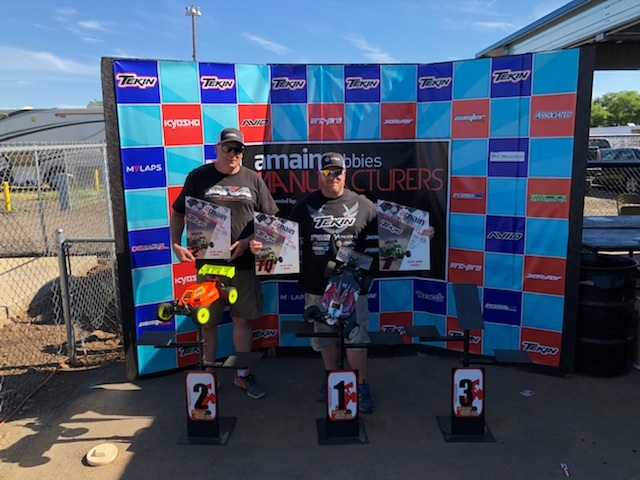 Out all the 1/8 E Buggy classes including E Truggy and 4wd SC thrown in for good measure, Tekin dominated the field being in over 95% of the cars. I even lent a “non Tekin” user an ESC so he could keep racing on qualifying day when his “other” esc failed him. I updated many users to the latest 272 software you can find HERE.